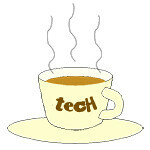 projectors « Tech bytes for tea? Epson boasts that the EH-LS100 is the world’s first ultra-short throw 3LCD laser home theatre projector. Available in Singapore now at S$4,688. Epson’s first ultra-short throw laser projector for homes, the ultra-short throw design of the EH-LS100 allows it to project at extremely close distances to a wall without the need for mounting on the ceiling, enabling easy installation and a seamless integration with the home décor. Projecting screen sizes ranging from 70 to 130 inches, the EH-LS100 offers WUXGA full HD resolution with brightness levels of 4,000 lumens of both white and colour brightness, delivering image performance in a variety of lighting conditions. Deep blacks and brilliant colours are projected at a high contrast ratio of up to 2,500,000:1 for an immersive and vivid home theatre experience. The Epson EH-LS100 has built-in 16-watt speakers so there’s no need to connect to an amplifier or separate speakers. 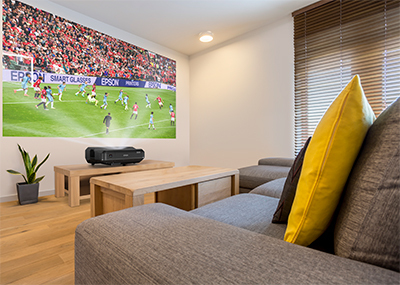 With its ultra-short throw capability, EH-LS100 is able to achieve a 100-inch projection with a placement of just 26cm away from the wall, overcoming the constraints of distance and space in home projection environments. 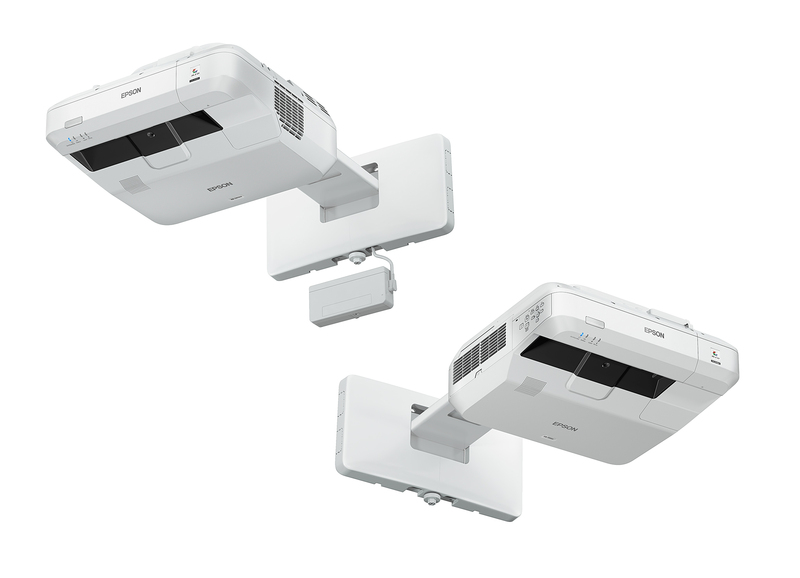 Epson has launched the first 3LCD laser ultra-short throw projectors. The company boasts that the EB-1470Ui is the world’s first 3LCD interactive laser ultra-short throw projector. Price below. Epson’s new 3LCD laser ultra short throw projectors: EB-1470Ui (left), EB-700U (right). Combining inorganic 3LCD panels with an inorganic phosphor wheel, the projectors’ laser light source provides up to 20,000 hours of operation with virtually no maintenance needed. Both the projectors deliver 4,000 lumens of white and colour brightness and WUXGA beyond Full HD resolution of 1920 x 1200 pixels for a dynamic viewing experience. 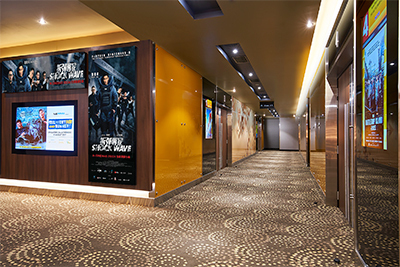 Golden Village Multiplex (GV) opens Paya Lebar multiplex to the public on 6 October, fully equipped with laser projection and deluxe seats. All the auditoriums will be equipped with laser projection systems from Barco. Located at the new Singpost Centre retail mall, the new mulitplex is located in the heart of Paya Lebar, in the east of Singapore. 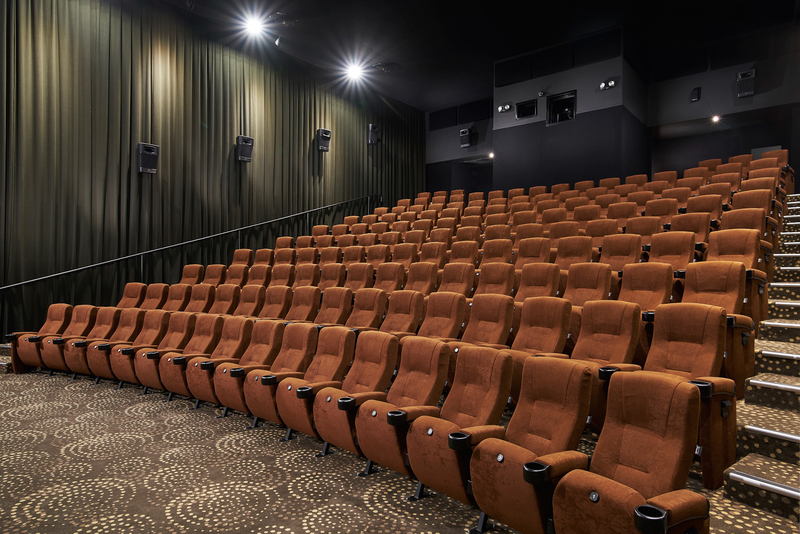 The 756-seat GV Paya Lebar, will be equipped with 20,000-lumens Barco Smart Laser Projection which offers better picture quality over traditional digital projections. 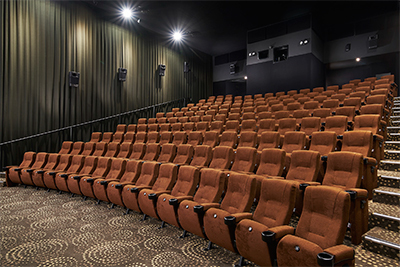 The new Golden Village Paya Lebar has 8 auditoriums with a total of 756 seats. BenQ launched in Singapore the X12000 (S$9,299) home cinema projector, the LU9715 & LU9235 laser projectors and the RP750K (S$9,999) 75-inch interactive flat panel display. BenQ X12000 DLP 4K UHD LED Home Cinema Projector (S$9,299). BenQ boasts that the X1200 (S$9,299) is the world’s first DLP 4K UHD LED Home Cinema Projector. It combines exclusive CinematicColor™ technology and Philips ColorSpark™ HLD LED technology for cinema quality color in 8.3 million pixels. BenQ LU9715 & LU9235 colour-accurate digital laser projectors. Epson showcased its latest smart solutions to show how its new innovations can power the future of businesses. Giveaway on Epsons Facebook Page: If you’re a Manchester United and Epson fan, here’s how you can stand a chance to WIN an Epson-Manchester United T-Shirt. 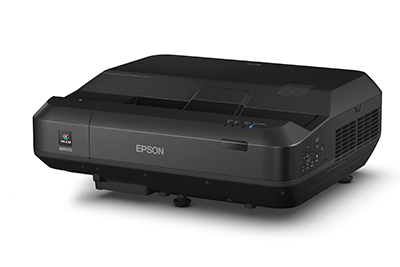 Follow this link to Epson’s Facebook Page to learn how! Contest ends at 2359hrs on 20 November. “ESTC returns this year to simplify and make intelligent business solutions more accessible to every business,” said Tan May Lin, Epson Singapore’s General Manager (Sales, Marketing & Customer Service Division), at ESTC 2016. The global technology leader in printing, visual communications and digital imaging demonstrated integrated solutions that addressed the varied needs that businesses had in their work processes. ESTC 2016 is the second edition of Epson’s bi-yearly convention to engage corporate partners and customers to raise awareness on its range of business products and solutions. A large format printer for the marketing department, showcased at ESTC 2016 in the Sands Expo and Convention Centre at the Marina Bay in Singapore. Epson showcased new business products ranging from office scanners to its new ultra-short throw interactive projector, mobile point of sales systems and wearable technology such as the Moverio BT-300 smart glasses and BT-2000 smart headset at the convention. The convention was held today at Marina Bay Sands Expo & Convention Centre and attended by 153 guests including business partners, end users, media and distributors. Epson’s showcase offered insights as well as real-life demonstrations on how companies can develop a holistic strategy when investing in technology. The new EB-L1000 series laser projectors offer maintenance free operations with four models available in Singapore. Prices begin from S$21,000. Epson boasts that the new EB-L1000 series 3LCD laser projectors are the first in the world to combine inorganic 3LCD panels with an inorganic phosphor wheel to achieve superior light and heat resistance for better image quality, reliability and durability. Image credit: Epson Singapore. The new EB-L1000 series 3LCD laser projectors are suitable for use for large venues. “Epson has spent more than 15 years working to extend the durability of the projectors, to deliver projectors that achieve new levels of brightness and reliability. The new EB-L1000 series of laser light source projectors underscores our commitment to the laser and high brightness projector market, and cements Epson’s position as the number one projector brand worldwide for 15 years running,” said Tan May Lin, Epson Singapore’s General Manager (Sales, Marketing & Customer Service Division). The EB-L1000 series projectors’ new lamp-free laser light source with 3LCD technology are capable of reproducing images with high levels of colour brightness for long periods, promising up to 20,000 hours of maintenance free use. The projectors come with nine lenses including the world’s first zero-offset ultra-short throw lens, the ELPLX01, providing maximum flexibility and enabling the projectors to be installed in tight conditions where available space is at a premium. Designed to operate 24/7, the EB-L1000 series are suitable for applications requiring continuous projection including command centers, storefronts, museums, digital signage and more. With a laser light source, the projectors reach maximum brightness without need for warming up. The EB-L1000 series will be available in 4 models ranging from 6,000 to 12,000 lumens in Southeast Asia – L1100U, L1200U, L1405U and L1505U. LG has re-entered the IT market in Singapore its launch of new laptops, monitors and projectors. Prices and availability below. The new LG gram laptop. 15.6-inches at only 980g. Here you can see a full-sized USB 3.0 port and HDMI port, and the Type-C USB port. On the other side are two additional full-sized USB ports (USB 3.0 & USB 2.0) and a microSD card slot. The highlight of the launch was the 15.6-inch LG gram laptop which weighs less than 1kg – 980g to be exact. The four configurations and prices are tabulated below. The LG gram laptops come in 14 & 15.6-inch sizes with prices ranging from S$1,499 to S$2,199. Click the image to enlarge. The largest portfolio of new products were the monitors. and the most pricey UHD monitors. Sizes range from 21.5 inches to 34 inches. View the various models and prices available here. Three 29UC88 UltraWide monitors set up for immersive gaming. With 2560 x 1080 resolution, the monitor comes with First-person Shooter, Real-time Strategy and Custom modes, allowing gamers to choose the most ideal solution for different game genres. The third product genre unveiled today was the LED projectors that feature both Bluetooth and Wi-Fi connectivity. The new Canon XEED WUX450ST projector promises stunning image quality, adaptability, and control for myriad of installation scenarios. Now available in Singapore at S$9,600. The Canon XEED WUX450ST is suitable for a wide range of markets including higher education, museums and galleries, corporate institutions, and for applications such as simulation, training, or digital signage. Canon’s newest short throw projector, the XEED WUX450ST LCOS (Compact Install Model) has a WUXGA resolution of 1920 x 1200, 4,500 lumens of brightness, and Canon’s LCOS technology with Aspectual Illumination System (AISYS) enhancement. With its 1.35x optical zoom, short throw ratio of 0.56:1, and 0 to +75 percent vertical lens shift (manual), the XEED WUX450ST offers installation flexibility in various settings. Canon breaks into 4K projection market with the XEED 4K500ST, which is equipped for a variety of applications. Available in Singapore now: S$65,000. Canon boasts that the XEED 4K500ST is currently the world’s smallest and lightest 4K installation projector. S$65,000. Canon today introduced its first 4K installation projector, the XEED 4K500ST. Designed for a wide range of applications including simulation, medical imaging, and engineering, the XEED 4K500ST offers 4K resolution whilst being compact and lightweight. Epson boasts that the EB-G7000 series sports the world’s first zero-offset ultra-short throw lens. Prices below. The new Epson EB-G7000 series projectors. Epson today announced the launch of its next-generation EB-G7000 high brightness projectors for large venues. The latest series of projectors are equipped with the latest 4K enhancement and deliver brighter and more vibrant images at up to 8,000 lumens of both colour brightness and white brightness (1). An Epson first, the projectors come with motorised lenses, enabling highly precise adjustments when employing edge blending and other features such as curved screens, and flexibility in projector placements. The EB-G7000 series also feature the world’s first zero-offset ultra-short throw lens with a throw ratio of 0.35, useful for environments with extremely limited lens-to-screen distances. With this, projections can be made onto 100-inch screens from as close 43cm away.